About the book: Warm Hawaiian sun. Lazy beach days. Flirty texts with her boyfriend back in Seattle. As someone who lives for summer YA contemps, this novel had Ginger written all over it. It's the type of story you can get lost in. From its breath taking scenes set against the unbelievably beautiful backdrop of Hawaii, to its carefree chorus of unforgettable characters, and that ache it holds for the story about a girl searching for truth and meaning, this novel should be on every reader's list this summer. As I said before, this is one debut author to keep an eye on. Her words have a way of sneaking up on you, and delivering a slow punch to the gut, just where your literary heart desires it most. 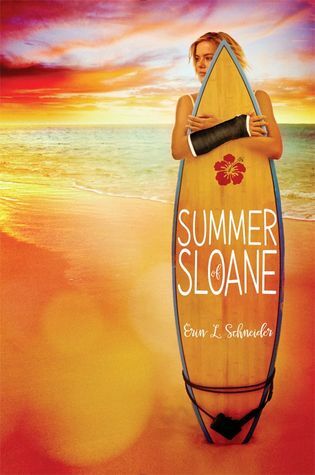 Summer of Sloane is sure to be a favorite for contemporary YA fans, especially those who adore summery contemps as I do.